We have found this phenomenon with future convicted felon Johnson’s victims, too. More than one GGC investor, when contacted by the Recovery Team, were angry at us for telling them they were conned, and defended Johnson. We believe they were angry because we were interrupting their dream. 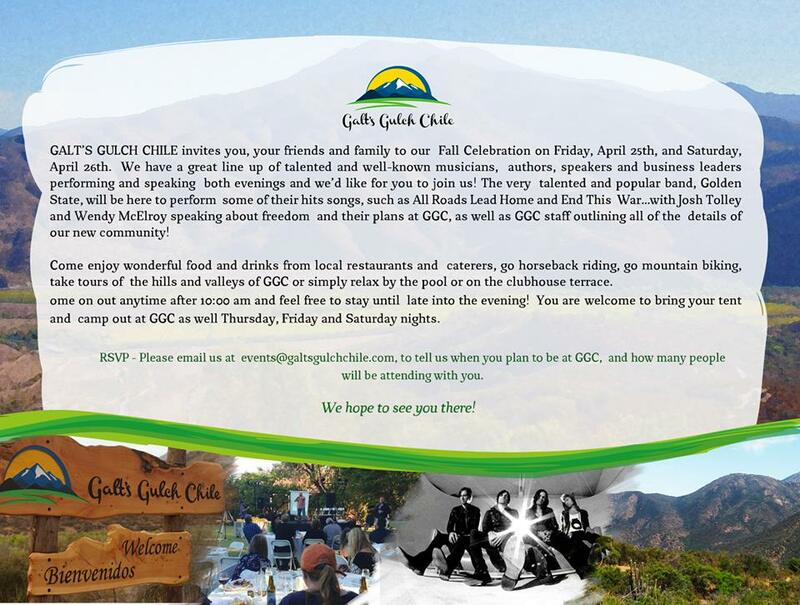 Despite the crazy, invalid contracts, lack of communication, missed land and loan payments, nonpayment of dividends, stiffed employees and vendors, the Rio Colorado scam, no zoning approvals, the total lack of any progress in building anything they still wanted to believe GGC was all true. One of these investors was, of course, our dear friend, Jerry Folta. He accused us of name calling, lying, libel and having a hidden agenda. All the other investors looked at our evidence and came to their senses, but not Jerry. To this day, he is supporting future convicted felon Johnson and claims to have paid him an additional wad of cash over his initial “investment.” Ugh. 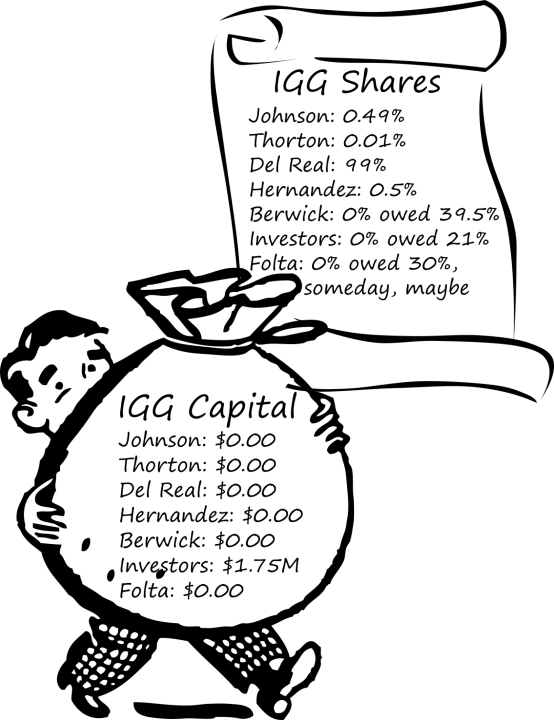 Now, one of the things I know about con artists is that when they are scoping out a target, when they are scoping out their victim, what they will do is, in the beginning, they will make a claim that is so outrageous, and so unbelievable, and if you don’t call them on it when they are saying that, now they know they’ve got a victim. Now they know they can walk all over you. I was considering buying in and I asked Ken to send me the blank contract. As I carefully went through it I couldn’t believe what I discovered. I had to turn the pages back and forth several times to wind through the legal paths in the contract but it clearly spelled out that once GGC sold me the property it could unilaterally decide to buy it back and, then, set the price at anything the General Manager (Ken Johnson) wanted – even $.01. I immediately thought, “He’s trying to screw me!”–Jerry Folta in an email to GGC investors, Oct 2 2014. I rewrote the offending portions of the contract in a way the original language was left intact but deletions/additions/changes were made in red so it was clear what I wanted to change. I also included what I described as written “rationales” for the changes I was proposing so he would understand why I wanted the changes and could better determine if he agreed the changes were fair. After a couple days rewriting Ken and I went through the revised contract start to finish. With explanation and discussion it took a good while and at the end I waited for the verdict. After a brief pause Ken said, “Ok.” Not a single modification, not a single change, not a single objection to what I had written. The conclusion I came to was the attorneys wrote the contracts as attorneys are wont to do; with as much protection as possible for Ken since he was the one paying them. Attorneys are usually not businessmen and the unfortunate way it came out under those circumstances was not appreciated by Ken. Also, the contracts were written in spanish [sic] and translated so both culturally and linguistically there is a great deal of uncertainty built into the situation. Still, once Ken saw my suggestions he immediately accepted them and, in fact, made it clear on several occasions afterward that he appreciated what I did because the work I contributed made GGC better – especially for other shareholder investors. Although it’s easy from the sidelines to fault Ken for not doing a better job of managing the attorneys, in a project this big, this ambitious, this undeveloped – these types of situations really should be expected to occur on a daily basis. Do you want to talk about a response to this? If you’re going to reach a settlement soon it’s probably not necessary. If we’re still fighting the good fight perhaps I should respond. Future convicted felon Johnson loves to take to social media and accuse the GGC Recovery team of “causing damages” and “looting” the Lepe farm. Sometimes we supposedly stole and/or damaged $1 million worth of we don’t know what, sometimes it’s $500,000. He has made videos with similar accusation that you can view at his GGC website. His videos are a real hoot. In one, the most he can do is claim that there are damages [sic] to a rubber tree. We pruned it–oh, the horror! In another, he and Ramirez wander around the hacienda front yard talking about missing peacocks. In a third, he shows shots of the drained pool at GGC. These trivial accusation–we hesitate to elevate them by calling them accusations, let’s just say trivialities–are all false and pale in comparison to the $10.45 million he has misappropriated or outright stolen from us investors. The only charge to which we care to respond is that we stole property from the farm. In fact, we did no such thing. During our six months managing Lepe, registered legal documents showed that Mario Del Real was the chairman of the board and controlled the ownership of Inmobiliaria Galt’s Gulch, the real estate holding company, and that his daughter was the general manager. These are facts that Johnson has admitted. In late October 2014, we asked Del Real’s permission to run the farm and he granted it. We then paid the back wages and payroll benefits of the farm workers that Johnson wouldn’t pay, and continued operations. In the links below, we provide the spread sheets that the farm managers created and used to detail all the money earned and spent from November 2014 to April 20 2015. You will see that, not surprisingly, the majority of the expenses were for wages. The Lepe farm is not profitable. The previous owner, Ramirez, neglected it for years. The trees are stressed from lack of water and from mineral deficiencies. The orchards produce only about one tenth of what a healthy commercial orchard would. In addition to the problem of poor yields and therefore pitiful income, we had ongoing expenses for repairs to the irrigation system that is aging and needs to be replaced, and for the replacement of a transformer that was stolen for the second time just before we took over operations. This transformer powered the pump for the main well. It took approximately $23,000 per month to pay the employees and keep the lights on. This did not include the salary of our supervisor, Ken Carpenter. Because the farm is unprofitable and the harvest for the period in question was slow in coming, we were forced to sell chattels from around the premise to pay salaries. These sales are in the above reports and total CLP $20.349.560 or approximately $34,000. 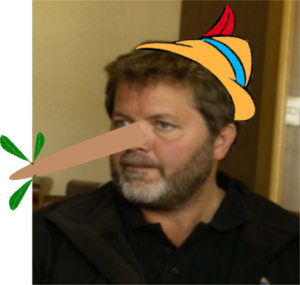 So, the Pinocchio of GGC was, as usual, off by more than an order of magnitude in his lie about how much money was raised by our selling the junk lying around the farm. If you wanted to give future convicted Johnson the benefit of the doubt, you may have thought that he was in good faith trying to make estimates of these sales. You would, of course, be wrong. Since he took back the farm, he’s had access to all the farm records. Not only does he have these very spread sheets that you see linked on this page, he has all the original receipts, as well. We really don’t care about Johnson’s lying posts on Facebook. We wonder why he does? We are sure the prosecutors and judges in his criminal trials won’t be swayed by this type of nonsense. Berwick: 35% of the shares, $0.00 funded. Johnson: 35% of the shares, $0.00 funded. Cobin and Eyzaguirre’s partnership: 30% of the shares, $0.00 funded. 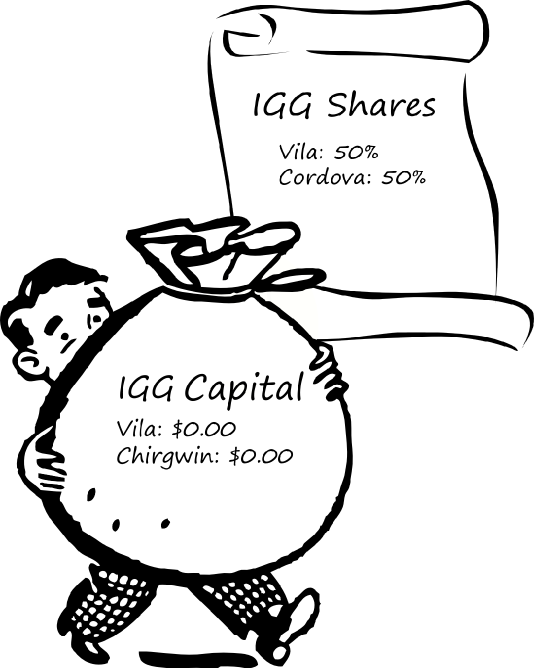 Vila and Cordova, the lawyers who incorporated IGG, held ownership for Johnson and Berwick, since the partners were out of the country at the time of incorporation. The lawyers were to transfer ownership when asked to do so. Remember, too, that the corporate documents (here and here) for IGG, unlike those for GGC SA, name only Johnson as having a management position, and there is nothing about who is on the board of directors. As of incorporation of IGG, Berwick is neither a shareholder, nor a manager, nor a director of the company that was to hold title to the real estate. 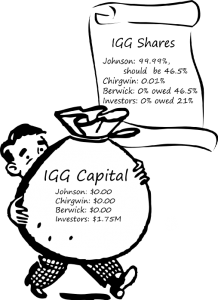 While this was occurring, Johnson and Berwick were working with a second law firm in New Zealand to establish a trust structure to hold title to IGG. Johnson was the protector of the trust and Berwick and his wife were beneficiaries. 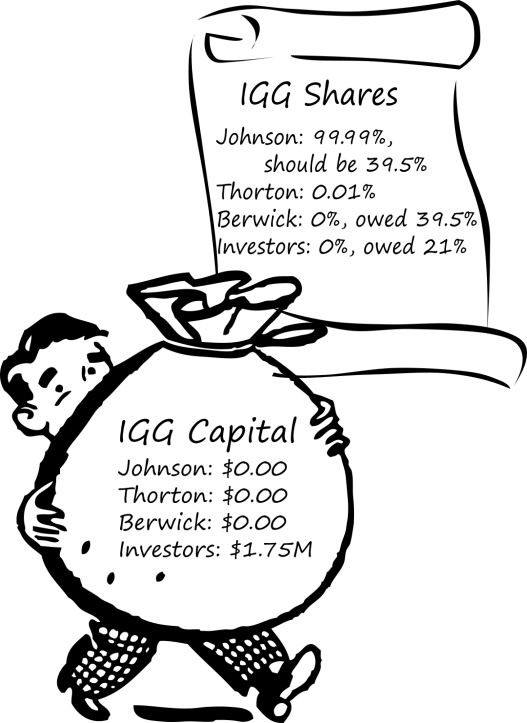 The trustee was to be a New Zealand corporation. These lawyers also drew up the Heads of Agreement contracts, jurisdiction in London, for the equity investors of GGC. Johnson: 99.99%, should have been 46.5%, $0.00. Chirgwin: 0.01% (one share), $0.00. Berwick: 0.00%, owed 46.5%, $0.00. Equity investors: 0.00%, owed 7%, $1.75 million. 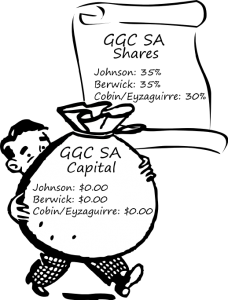 We suspect that Vila and Cordova didn’t transfer shares to Berwick because Johnson held Berwick’s power of attorney for GGC’s affairs. In a perfect world, Vila and Cordova would have notified Berwick of the impending transfer of ownership. However, the lawyers were treated to Johnson-esque abuse (crazy demands, crisis management, criticism, insults, non-payment–you know, the usual) and had had it with him. They were probably happy to follow the letter of the law and to be completely out of GGC. Johnson owed shares to the equity investors and they soon began to agitate for what they were owed. 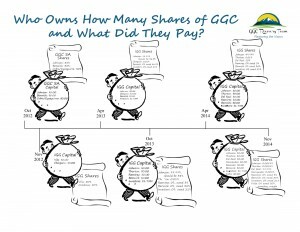 The documents they received during the sales process said that GGC would raise $25 million in capital, so therefore their units of $250,000 would entitle them to 1% of the project. They had no way of knowing that the $25 million was a ridiculous pipe dream and that they were the sole source of equity capital. Also, as part of the contract with Guillermo Ramirez’s Agricola Guipaca Limitada for the Lepe/Las Casas property, Johnson agreed to transfer 3% of Galt’s Gulch Truster [sic] Limited to Ramirez and 2% to Ramirez’s lawyer, Hector Ricardi. This was supposed to be a New Zealand corporation and trustee of the New Zealand trust. When Chirgwin and Johnson parted ways in the fall of 2013, Chirgwin’s share went to Johnson’s thug, Ian Thornton. Thornton is a Chilean laborer who does a good measure of Johnson’s dirty work in exchange for cocaine money. Johnson: 99.99%, should have been 39.5%, $0.00. 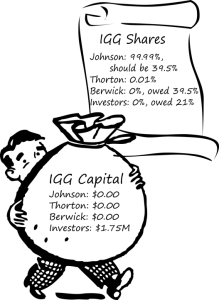 Thornton: 0.01% (one share), $0.00. Berwick: 0.0%, owed 39.5%, $0.00. Equity investors: 0.00%, owed 21%, $1.75 million. Of course, Ramirez and Ricardi get nothing if they were to get shares in the New Zealand Trustee, since the New Zealand structure doesn’t really exist–not that anyone else gets anything, mind you. But it does serve Ramirez and his Cracker Jack lawyer right for not performing their due diligence–just like many of us. 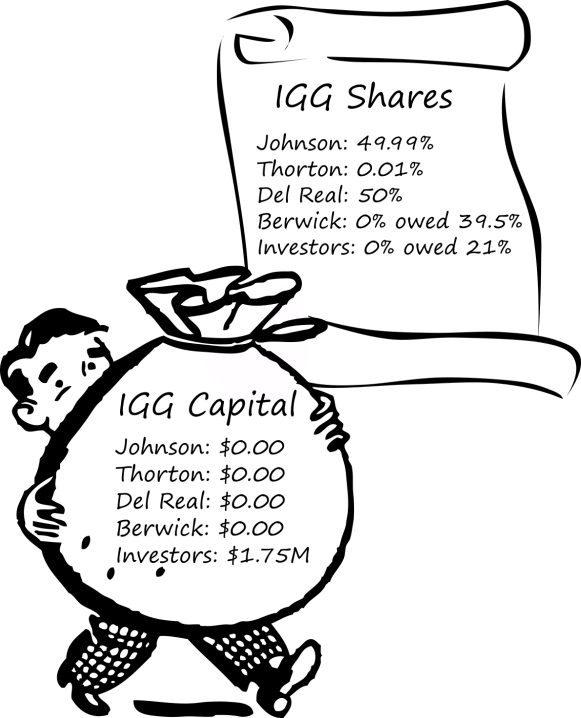 The situation remained as above to the end of 2013. Berwick realized he had been defrauded of his ownership in June and spent the remainder of the year arguing with Johnson for his interest. The equity investors got their commitment from Johnson for a bigger cut, but they couldn’t actually get the shares, as Johnson played his usual passive aggressive game. 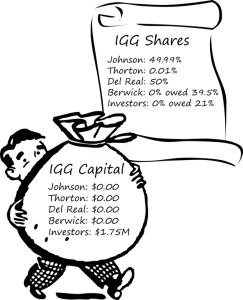 The trust lawyers repeatedly emailed Johnson, telling him that the trust structure in New Zealand was incomplete exposing GGC investors to double taxation. And Johnson continued to shuck and jive. Then he met Mario Del Real. We speculate that the locals realized Johnson was a scam artist. We suspect that Mario Osses, a local politician and lawyer, knew that Johnson’s operations violated all kinds of laws and he was therefore vulnerable. This pol sent his buddy, Mario Del Real, over to insinuate himself into the project. If this weren’t the plan, at least it is what happened. Ultimately, Del Real was not only able to wheedle his way into a management roll in GGC, he took over the board of directors and ownership, too. “Mr. Johnson and I are working on other projects in Chile that are quite interesting that involve energy and ecological systems. 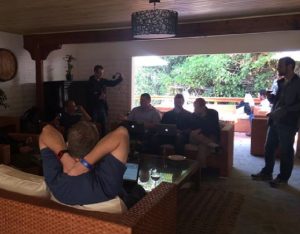 There is much opportunity here in Chile and we intend to participate in the opportunities.” –Guillermo Ramirez in a letter to Josh Kirley, Dec 21 2013. Del Real dangled a fortune in water revenue in front of Johnson’s eyes with the Andean Rio Colorado project and Johnson had to have it. Water is the new oil, don’t ya know. Mario Del Real and family: 50%, $0.00. Equity investors: 0.0%, owed 21%, $1.75 million. Meanwhile, Del Real in his new role as Chairman of the Board of IGG conducted a wild spree of writing, notarizing and registering a series of legal documents supposedly reporting on the many board and shareholder meetings he claimed he held. 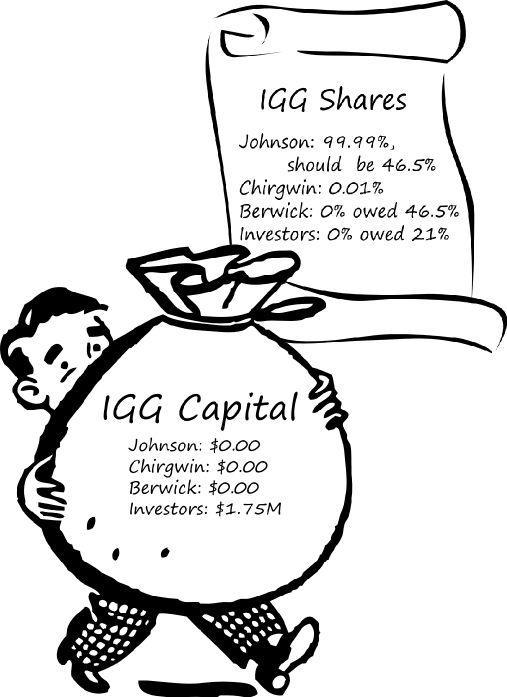 He expanded the number of shares of IGG from 10,000 to 1,000,000 and held all but the 5,000 still owned by Johnson. Del Real claims to have given 5,000 shares of IGG to engineer Fernando Antonio Hernandez Jara on June 20 2014. Hernandez supposedly was a contractor to GGC. Johnson, however, contests this, saying that Hernandez never worked for the project–sort of like Johnson, really. The Recovery Team went public with the GGC fraud in August 2014. In the face of our public exposure of Johnson’s perfidy, he was hit with an avalanche of refund requests, threats of civil and criminal litigation, and demands for payment of $2 million that he still owed Ramirez for the Lepe property. We had cut off his fraudulently induced income while his bills were piling up. In desperation, Johnson turned to GGC investor, Jerry Folta. 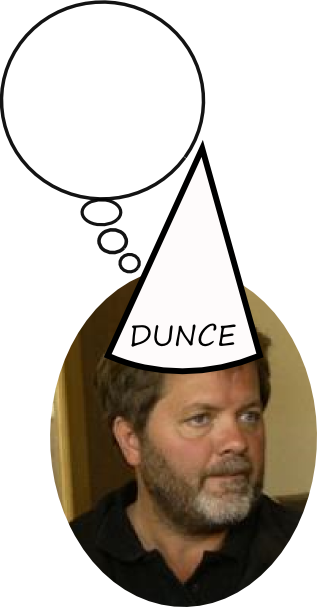 Folta, possibly thinking himself supremely clever, took advantage of Johnson’s impossible financial position and purportedly paid him $250,000 for 30% of IGG shares. Since Johnson had neither ownership nor control of the vast majority of the IGG shares, he gave Folta a contract called a promesa. This contract likely transfers 30% of IGG to Folta whenever Johnson is able to wrest shares from Del Real. Folta’s money did not go to capitalizing IGG but went straight into Johnson’s pocket. What he uses it for is anyone’s guess, but booze and gambling might be good ones. We can tell you what he definitely doesn’t use it for: paying employees. They have been reporting him to the labor board for months. New information as of Aug 23, 2017. Folta’s fraud case against Del Real, as well as all other cases involving GGC, has been included in the criminal investigation by the white collar crime prosecutor for the Republic of Chile. 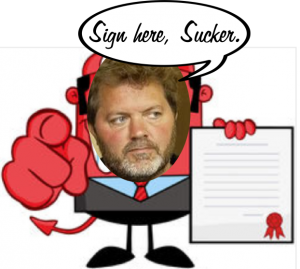 In Folta’s petition to be a victim of the GGC fraud, his lawyer included the contract mentioned above, which was not a promesa, as Johnson said, but a purchase and sale agreement. The dollar amount of $250,000 is in the contract, however, no proof of payment was provided. Mario Del Real and family: 99%, $0.00. 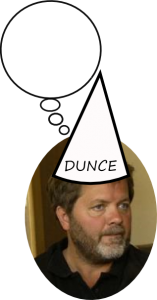 Folta: 0.0%, owed 30% some day in the future—maybe, purported $250,000. This is how the situation stands as of October 2017. We’ve created a graphic of all the changes detailed in this post. You might have noticed a pattern. From the very beginning, everyone who has owned shares of IGG has paid not one thin dime for them. 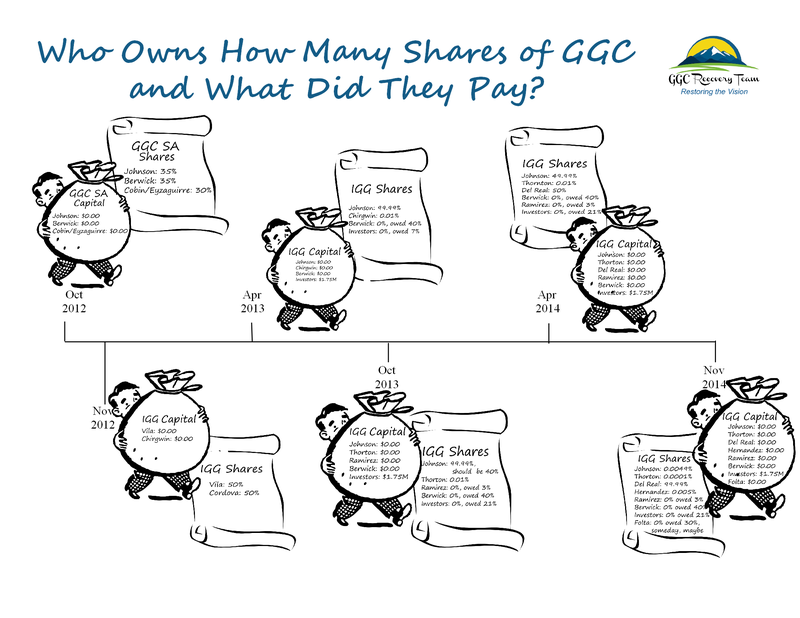 * And everyone who has paid money into GGC owns not one share. How’s that for a perfect record? By the way, these are the machination that we know about, but we would not be surprised to find that others are owed equity. 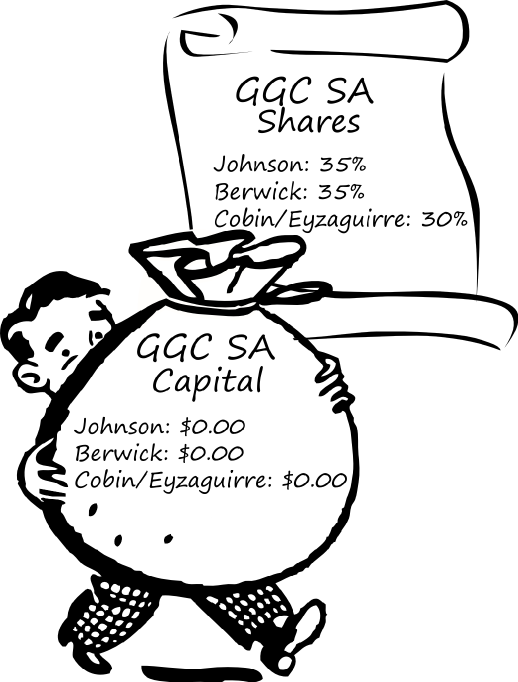 For example, when cornered by an angry GGC investor who had put money into Rio Colorado and was demanding his funds back, Johnson said he would give him equity in GGC. How many others he promised shares, we can’t know. Here’s one final twist to this saga. When Johnson was desperately looking for money to bribe Del Real out of IGG, he approached investor Josh Kirley and asked him for $1 million. In exchange for the money, Johnson said he would make Josh the protector of the New Zealand trust. Some how it must have slipped Johnson’s mind that the trust structure was incomplete, uncapitalized and had no relationship to IGG, the only Chilean corporation that owns assets. Hmm. *One document for the transfer of 2,000 shares to Del Real says that he paid some trivial amount of money for them. 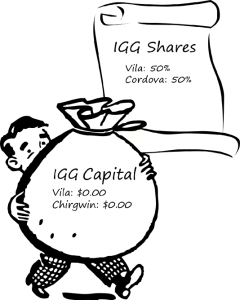 We do not have proof that money changed hands, and if it did, it went into Johnson’s hands, not into capitalizing IGG. “The rooms in the Inn at Galt’s Gulch and the freestanding Guest Hacienda are projected to rent for $150-200 USD per night, with occupancy levels at 50% in 2014, increasing to an average of 75% occupancy thereafter. These units are projected to be in very high demand. They will have road access, 220-volt power, hot and cold running water, Internet access, television, full maid service, room service and amenities typical for upscale hotels, while allowing those staying there to experience all of the beauty of living at GGC. 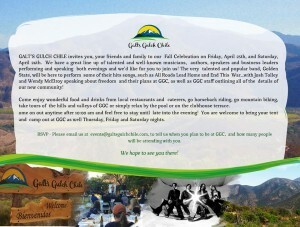 “For investors in the organic farm offering, the Inn at Galt’s Gulch and the Guest Hacienda represent steady additional passive income that will be distributed to the owners of the GGC organic farm as part of their monthly revenues.” Source: Ken Johnson in GGC Farm Program Overview part 1.pdf. The following is an eyewitness account from a former employee. In September 2013, Ken Johnson asked the farm manager to develop projections for the GGC farm products for the years 2014-2020. The farm manager was conservative with his numbers. His plan included investment in organic fertilizer and seed, a greenhouse, water flow and well improvements as well as revamped and new farm equipment. He was also adamant that a nursery for the new crops was needed and that a large expense in construction and staffing would be required. The projections showed small profits beginning a few years after the implementation of all the capital improvements. The problem was that since all the farm investors’ funds went to Guillermo Ramirez for the prodigious land payments with late penalties, and also to the ongoing expenses of the unprofitable farm, there was no capital left for investment into the farm manager’s plan. When the farm manager expressed his opinion on the severe water deficit for the existing lemon orchard, he was promptly fired. The Lepe/Las Casas property had four cabins that went through partial remodeling in preparation for the April 2014 Celebration, that is Johnson’s disastrous sales event at GGC. The renovations didn’t go exactly as planned. A hurried effort at renovation into guest quarters was at best a haphazard affair, and ultimately a waste of yet more investor capital. The cabins were never meant for rental accommodation at modern hospitality standards. 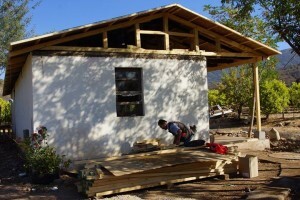 They are built from a mixture of adobe, concrete, cinder block, cheap lumber and tin. Only one of them had indoor water access, three of them had exterior baths with no plumbing or sewage. The windows are small and don’t allow for much ambient light. The local carpenters contracted to remodel the cabins had enormous difficulty as the walls and flooring were uneven and out of square. In the end, only two of the cabins were habitable. The Recovery Team and orchard investors are still awaiting any accounting on the revenue from these shacks. Recently, farm workers were butchering rabbits in one of them, but we doubt they were paying $200 bucks a night. 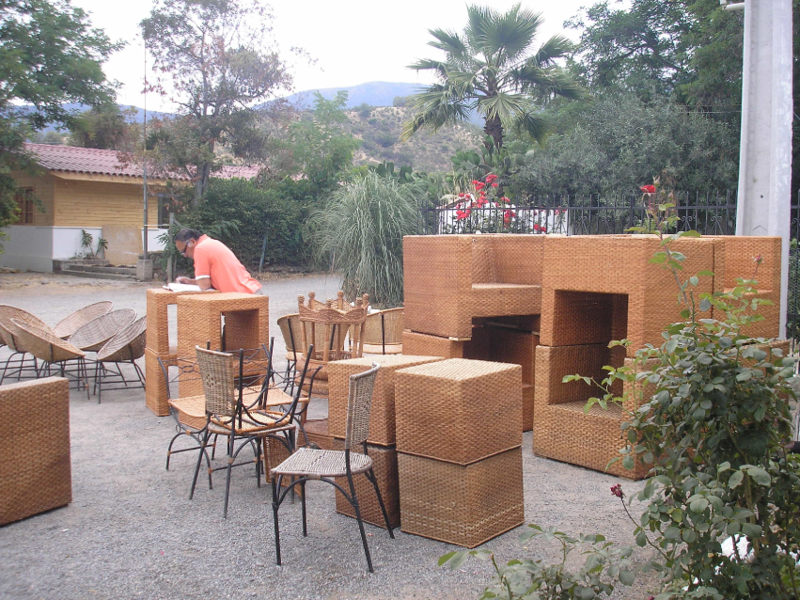 Late in 2014, all of the shacks’ uncomfortable, moldy wicker furniture was repossessed for non-payment by the vendor. The main house on the Lepe property—the only real hacienda—also went through a hasty remodel. The majority of the effort was devoted to a 2,500 sq ft wooden deck spanning the entire rear of the house. The deck is quite impressive and wowed the celebration attendees, for sure, but what they didn’t know is that weeks were spent modifying the wooden steps and concrete landings so that a mangy, 17 year old dog could have easy access. Yes, GGC investors, the famous Remy cost you more than those nightly salmon dinners. At least four building contractors have come and gone from GGC, not one of them paid in full for their services or expenses. The first contractor for the deck installed pine ceilings in the main house before he was fired and eventually threatened by Johnson. The stone flooring and gutted bathrooms were never finished. Most of the lighting fixtures were removed and never replaced. The famous master suite where Johnson let weeks of garbage and soiled laundry pile up in the sauna tub and on the linoleum flooring wasn’t renovated. This rodent infested building is dark, damp and dated. 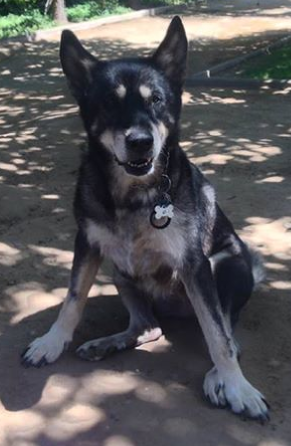 Johnson had the large French doors removed— this was later blamed on the Recovery Team—and never replaced (see in this photo), exposing the house to the elements and allowing the many starving street dogs to roam about freely, urinating wherever. The mutts spent most of their time lounging on the wicker furniture when not hunting the peacocks. The contractors shored up the shacks quite well, but if you go, plan on bringing your own water, maid, insect repellent, septic tank, furniture and a generator.